When it comes time to move-up or move-on, many homeowners ask themselves if it is better to sell their home or rent it out. If you have a low mortgage balance, renting out your home may be a good way to have another income stream. But, it doesn’t always make sense, especially if you’re not in it long term. Whether to rent or sell a home is a big question. There are pros and cons to both. Let’s break these down to determine which is the best option for you. When the market is down, people consider renting out a home if they cannot sell it. If the economy is good in their area and housing is in short supply, people consider renting their home for the potential for positive cash flow. If you’re going to rent out your house as an investment, you must determine if renting out your house will be profitable. 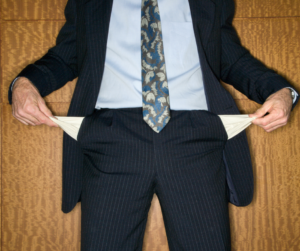 Many landlords fail because they underestimate expenses. Add up all the expenses of renting the home, and subtract them from the money you will make including any tax breaks you may get. Mortgage: This is probably the biggest expense. Make sure to calculate both the principal and interest. Insurance: Remember that insurance rises, so calculate this expense with increases in mind. Repairs and Maintenance: Budget for repairs, and the possible labor to have issues fixed that you cannot do yourself. 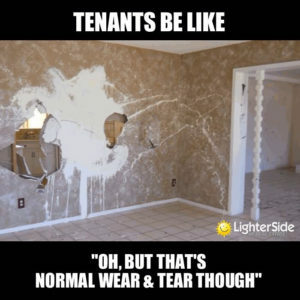 When a tenant moves out, you will likely have to re-paint, and replace flooring and potentially appliances if they are broken. Taxes: You will need to consider not only the property taxes you pay as a homeowner, but also the fact that rental income is taxable, though there are deductions. Talk with a tax professional about your tax burden as a landlord. 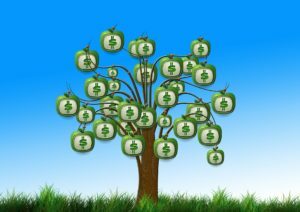 HOA Fees: These will not apply to everyone, but if your home is in a neighborhood with HOA fees make sure to include them in expenses. Property Management Fees: If you decide to use a property management company, keep this expense in mind. Do your research before you hire. Vacancy: You won’t have a renter all the time. Even in a great economy there will be times when you will have to pay all expenses without rent coming in. Commission: If you hire a real estate agent to rent the property, their commission is an expense to consider. Ads: You don’t want the home to be vacant for long, so advertising will be necessary to find renters. Screening: Last but absolutely not least – tenant screening. Doing thorough background, credit, and rental history checks will save you money in the repairs and maintenance department. Expenses will vary by area and even the type of home you are renting out. Spend time considering every possible expense now so you don’t lose money. You will have to do research to determine how much you can charge for rent. Look online at similar rental properties in your area, and consult a real estate agent who handles rentals. Consider long term rent prices. While no one has a crystal ball to predict the future, researching the rental market and predictions from experts will give you some idea of the health of the rental market and where it is likely heading. Also, understand that it may take time to become profitable. Having a rental property can pay off as a medium to long-term investment, but don’t expect to make money right away. 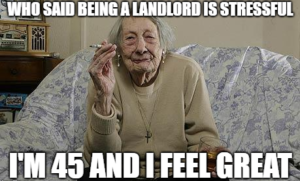 Being a landlord can be stressful. You have very little control over what tenants do in your home. Are they wrecking the place? Do they have lots of pets they didn’t tell you about? Will they pay rent on time? What do you do if they don’t pay their rent and they wreck the place?? 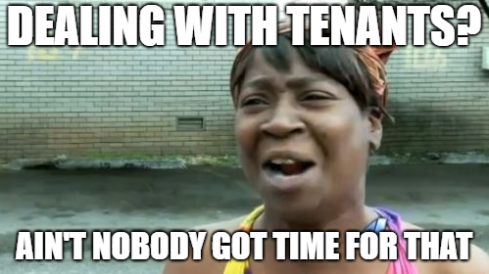 Even if you have perfect tenants that always pay on time (as if there is such a thing) you will still have the responsibility of answering their calls and keeping up with repairs and maintenance. And, you will still likely have to repaint and maybe redo the floors when they move out. You can hire a property manager, of course, but it will cost you a percentage of your rental income. Not all property managers or management companies are created equal, and it is unlikely that they or the tenants will care about your home the way that you do. Consider also that if you decide to rent out your home but then change your mind, selling a home with tenants is a completely different can of worms. The laws vary from one area to another, and you will need to research selling a home with tenants in Columbus, Ohio. At the very least, tenants are known to make the selling process more complicated by not being cooperative. After all, they are comfortably living in the home and did not make the choice to sell. For some, owning rental property is something they have always wanted to do. In that case, renting out a home you already own will help you determine if being a landlord is right for you. Do You Need The House For The Future? If you are relocating temporarily, it may make sense to rent out your home. Afterall there are also expenses when selling a home and buying another. Having a home to come back to may give you security and make more sense financially if you will need the home in the near future. If you’re thinking it may be better to sell your home instead of rent it out, these points will help you decide if it is in your best interest to sell. Walk Away After It’s SOLD! Being a landlord may be some people’s perfect solution, but for many homeowners the idea of dealing with a rental property is not something they want to do. All of the issues and expenses with owning rental property can be avoided by selling the home. Selling can still be stressful, but it has an end point and you will likely get a check when it’s over. If you’re moving out of state, selling may be the better solution. Managing a rental property from a distance, even with help from a property manager, can be stressful. You are completely dependent on the property manager, and you will not be able to check that they are doing their job properly. As of this writing, most homeowners can sell a home that they have lived in for 2 years of the last 5 without paying capital gains taxes. There are some limitations based on your tax bracket, so talk with a tax professional to determine whether this applies to your situation. As most people already know real estate is cyclical. If you suspect that you are at the top of the market or see a reclining real estate market or economy in the future, you may want to sell while you can still get a good price for your home. No one has a crystal ball that can predict where the real estate market or economy are headed, and it is possible to be wrong. However, if you research market conditions and talk with experts and feel that a downturn is coming, selling makes sense. 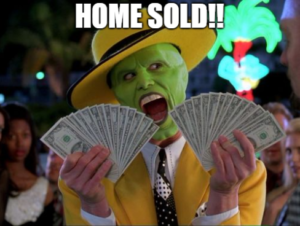 With the money from the home sale, you will hopefully be able to put it into other, more diversified investments that may be better in a down economy. Many people sell a home instead of rent because they need proceeds from the sale in order to buy another home. If you’re buying another home but you don’t have other funds to use as a down payment, it makes sense to sell your current home to get that money. The terms on your next home will be much more favorable with a healthy down payment. The choice between selling your home or renting it out must not be taken lightly. If dealing with property management headaches on top of an already busy schedule doesn’t sound like your idea of fun, it is probably best to sell your home. But, if you’re still not sure which is best for you, the person you should contact is Rita Boswell at 614-547-3229. Rita is a Columbus, Ohio real estate agent with years of experience in both residential real estate and investment. She will be happy to answer any questions you have about selling or renting a home in Central Ohio.